This is how you get expelled from Harvard before you even start. 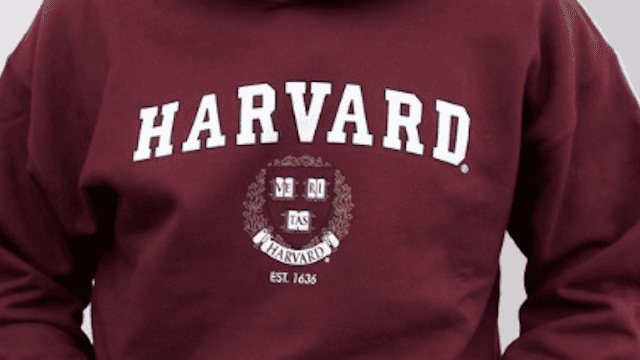 At least 10 students had their offers to attend Harvard rescinded after they were caught sharing offensive memes over a private Facebook group, reports The Washington Post. Looks like you don't have to be smart to get into Harvard after all. According to the Post, the trouble began after about 100 members of the incoming freshman class broke off from the university’s official Class of 2021 Facebook page to make a messaging group devoted to sharing memes in late December. The private group, titled "Harvard memes for horny bourgeois teens," became an "R-rated offshoot" of university monitored Facebook group mentioned above, and students were only granted access to it if they "proved themselves" by posting a proactive meme in the main group. Let's be honest, we all knew deep down that memes would be the downfall of us all. According to The Harvard Chronicle, the off-shoot group was soon littered offensive images. Members of the group later confirmed to The Crimson that Harvard administrators revoked admissions offers to at least 10 participants in mid-April. Harvard’s decision to rescind a student's offer is final. It's cool that these students learned a valuable lesson from Harvard without ever attending a class, though! Hopefully applications to DeVry are still open? Harvard only admitted around 2,000 students from the nearly 40,000 applicants they received this year. The Crimson reports that a record-breaking 84% of admitted students for the class of 2021 ended up accepting their offer from the prestigious school, but it looks like fewer students than anticipated will be attending Harvard this fall. Let's hope they had safety school.